She is the daughter of Dr. Alexander and Patricia Schleuning of Portland, Oregon. She earned a master's from theJuilliard school where she studied with Joel Smirnoff. 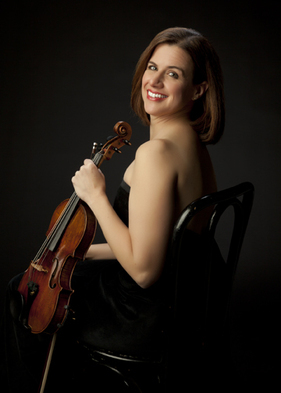 She has performed as a soloist with the Dallas Symphony, the Seattle Symphony, the Oregon Symphony, the Long Bay Symphony, the Columbia Symphony, and as alumni soloist for the 75th Anniversary of the Portland Youth Philharmonic.